Even for all the photos and yearbook signatures and degrees and tweets, and despite him claiming that he has “so much Auburn memorabilia, you might think it’s the California outpost of J&M and Anders,” I don’t think we’d ever actually seen Apple CEO, Bama-trolling Tiger superfan and 1982 Auburn graduate Tim Cook in any Auburn stuff, even at the BCS National Championship Game. Until now. Cook referenced the Iron Bowl during his acceptance speech and it was great. The other guy in the picture is fellow honoree Howard G. Buffett, son of that Buffet. 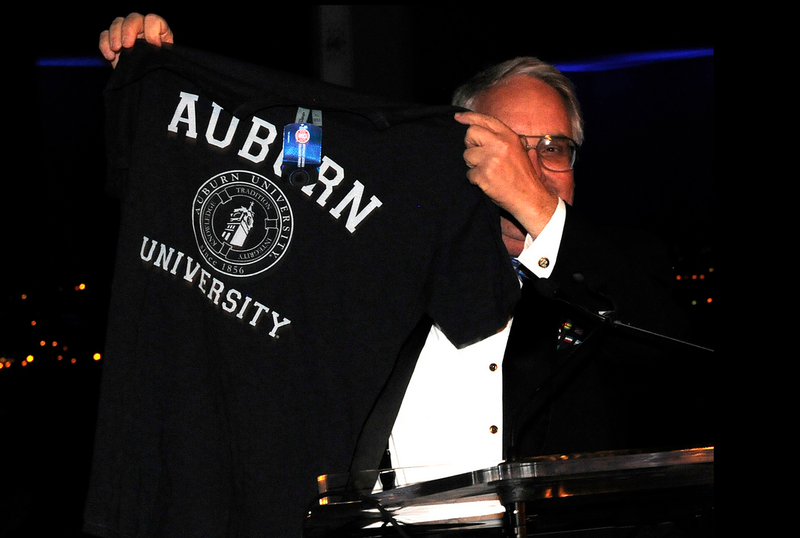 He’s apparently an Auburn fan, too (a lot of billionaires are). Here he is showing off his new Auburn shirt. Other celebrities in Auburn stuff: John Oates, Leonardo DiCaprio, Dr. Dre, John Travolta, Thierry Henry, Willie Nelson, Zac Efron, Naya Rivera, Molly Sims, Jason Segel, Joe DiMaggio. 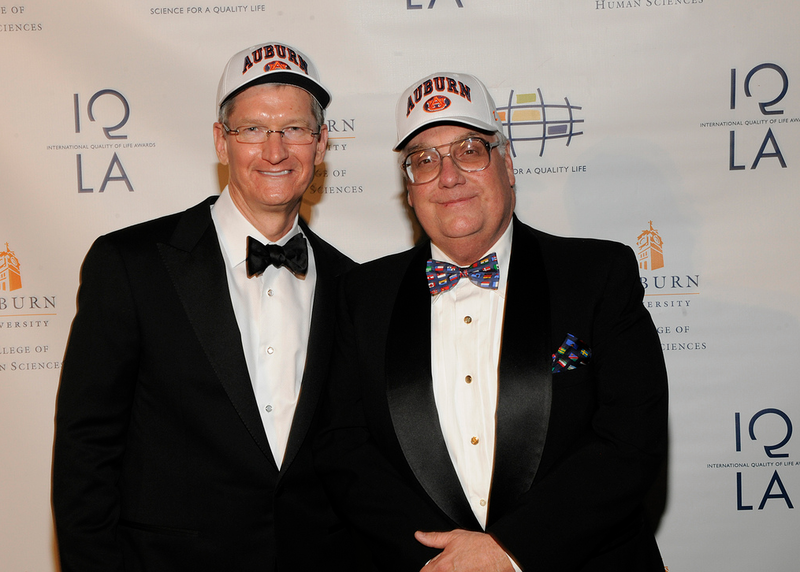 Related: Apple CEO Tim Cook joins Twitter, proclaims love of Auburn football in Twitter bio. Filed Under: People, Photo of the Day: Auburn Scenery, Screen Caps, etc.